Bored of your wall at home? Refurbish with wood panels to create an accent wall. 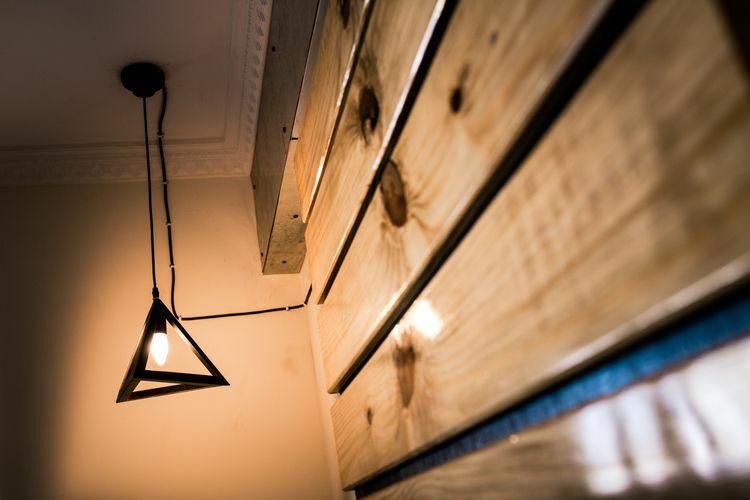 Add a little mood to the space with an industrial light. Finally, take a step back & watch the glow! #moodlighting #woodpanel #designtips .